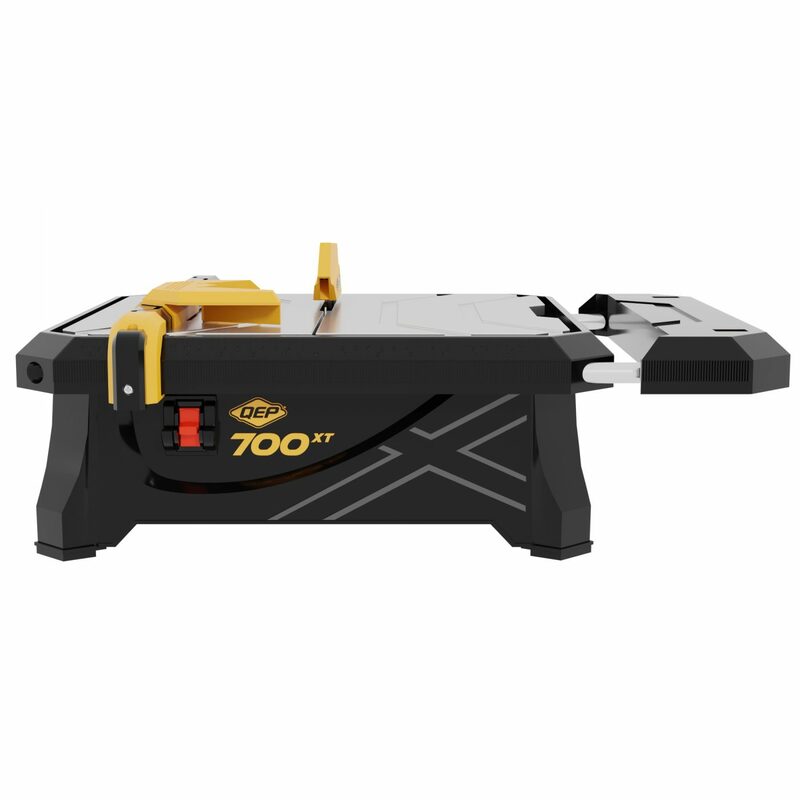 This 700XT Tile Wet Saw is equipped with unique side extension table to support large format tiles. The QEP 30" bridge saw carries a powerful 1-1/3 motor for quickly cutting a variety of hard tiles. Combined with ball-bearing assembly, you are guaranteed smooth, accurate cuts every time. The QEP 24" Bridge Saw is perfect for cutting marble, granite, porcelain, stone and tile with it's direct drive 1 HP, 3420 RPM brushless motor. This Bridge Saw evenly distributes water flow, extending the life of the diamond blade and the ball-bearing cutting assembly ensures the user a smooth score leading to cleaner accurate cuts. The Professional 24" Tile Saw carries a powerful 3450 RPM motor that cuts the toughest marble, granite, stone, porcelain & masonry products, as well as all types of tile. The QEP 900XT Pro Tile Saw features a powerful 2-1/4 HP, 15 Amp motor that easily cuts through ceramic tile, porcelain and stone. The Pro Tile Saw is equipped with a powerful 1HP, 3600 RPM motor and oversized die cast aluminum tilt-up cutting table for precision 15°, 30° and 45° miter cuts. Interior water baffles to minimize water spray and reduce refills and a folding bench-stop to keep the saw in place while making cuts. This 750XT Tile Wet Saw is equipped with unique back extension table to support large format tiles. The 650XT Tile Wet Saw carries a powerfull 3/4 Peak HP motor for cutting ceramic, slate, marble, granite and porcelain. The Portable Tile Saw has a direct-drive 3/5 HP motor making it perfect for cutting most types of tile. The Torque Master XT Portable Tile Saw is ideal on job sites where space prohibits the use of a large wet saw. The 4" Handheld Tile Saw is ideal for cutting tile, stone, granite, block, brick and marble.